The globalized and interconnected world has called for the integration of economies of the world. The flow of trade, labor, and resources is a common thing to witness in this interconnected world. This has led to business houses setting up their ventures in foreign destinations and calling for manpower resources. The flow of job seekers to overseas destinations in response to the rising employment opportunities is also a common phenomenon. The best example of this flow is the movement of Keralites to Arab and Gulf countries. However, getting the right job (concerning Job seekers) or the right employee (concerning employer) is something that requires bringing in common needs of both the parties on a single platform. In general sense, we can say that getting the right match for the right job is a task that calls for professional and assessment capacities. When it comes to Overseas Manpower recruitment or Overseas Manpower Consultancy, it becomes necessary that things move in a proper and defined manner. Since the jobseekers wish to move out to the Overseas territory and get settled and grow their career there, it’s necessary to provide them with the required assistance. In terms of the employer, their expenses incurred on bringing the employee on board should not be wasted. To incorporate these needs and to deliver solutions that are suited to both employer and job seekers, overseas manpower Consultancies or recruitment agencies provide overseas recruitment services. These agencies provide professional and dedicated services to their clients in a comprehensive and cost-effective manner. Alliance recruitment agency brings you a dedicated consultation/recruitment service package that is completely in sync with your needs. To get desired and need-based solutions one can always lay their trust at our service. Recruitment and staffing at the global level is what that modern-day overseas consultant/recruitment service providers specialize in. The need for manpower that firms put forward these days are diverse and call for recruitment for roles such as Chefs, Engineers, Architects, Doctors etc. All these needs are not satisfied with the regionally or locally available talent pool. Hence, breaking past the geographical barriers and looking for the right fit has become the norm. All these and many more benefits are there to be encashed when you hire Alliance recruitment agency for your overseas global recruitment needs. Our service delivery and client network lay testimony to the reputation we carry as a recruitment service provider. At, Alliance recruitment agency we have served to the employment needs of our clients located in countries like France, USA, UK, Russia, Spain, Dubai, Mexico, etc. Extensive overseas recruitment network that we have developed is something that makes us bring best of the manpower solutions from around the world. 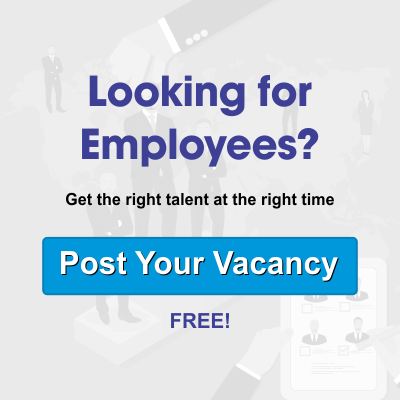 Candidates looking for overseas job opportunities and firms looking to hire employers for overseas location can visit our website https://www.alliancerecruitmentagency.com and register their inquiry. We would feel privileged to serve you.